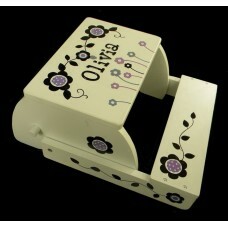 4" H. x 5 3/4" W. x 6" Deep. 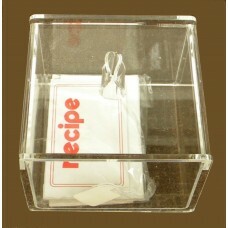 Comes with blank cards to write recipes in. 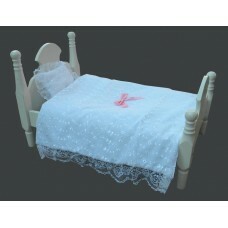 Name & Design includ..
13 1/4" H. x 14 1/4" W. x 22 1/2" L.; White wood Doll Bed includes a beautiful eyelet fabri..
Reg. 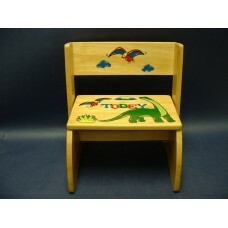 or Large Step Stools /NATURAL or WHITE / "Dinosaurs"
Reg. 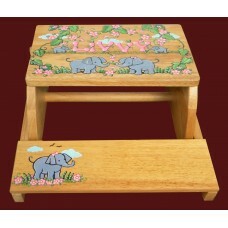 or Large Step Stools /NATURAL or WHITE / "Elephants & Flowers"
Reg. 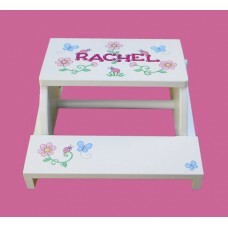 or Large Step Stools /NATURAL or WHITE / "Flower Bunches"
Reg. 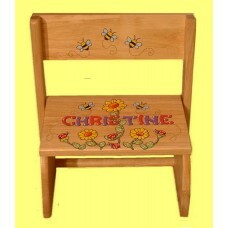 or Large Step Stools /NATURAL or WHITE / "Flowers, Bees & Ladybugs"
Reg. 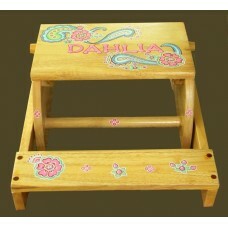 or Large Step Stools /NATURAL or WHITE / "Flowers, Butterflies & Ladybugs"
Reg. 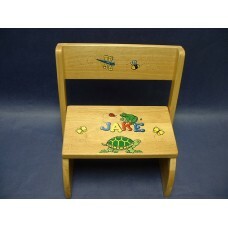 or Large Step Stools /NATURAL or WHITE / "Frogs, Turtle & Bugs"
Reg. 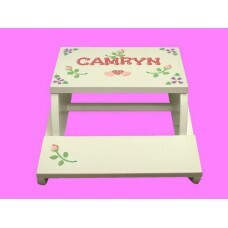 or Large Step Stools /NATURAL or WHITE / "Hearts & Flowers"
Reg. 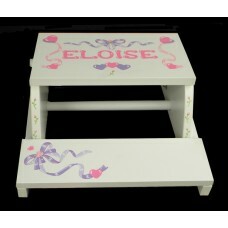 or Large Step Stools /NATURAL or WHITE / "Hearts & Ribbons"
Reg. 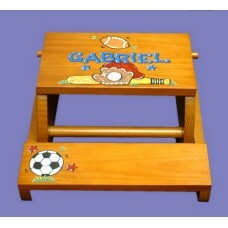 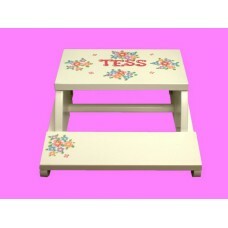 or Large Step Stools /NATURAL or WHITE / "Multi Sports"
Reg. 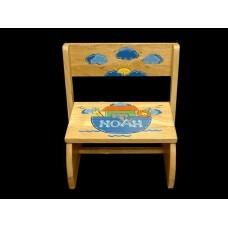 or Large Step Stools /NATURAL or WHITE / "Noah's Ark"
Reg. 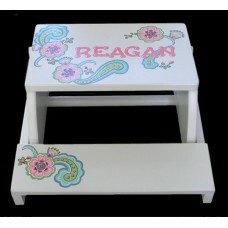 or Large Step Stools /NATURAL or WHITE / "Pink Paisley"